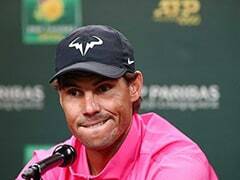 Chaska (United States): Rory McIlroy took a bow before hostile fans after completing a European fightback Friday at the Ryder Cup, but the United States still led 5-3 thanks to a foursomes whitewash. The Americans, losers of three in a row and eight of the past 10 meetings in the biennial team golf rivalry, swept the opening session for the first time since 1975 for a 4-0 morning edge at Hazeltine. 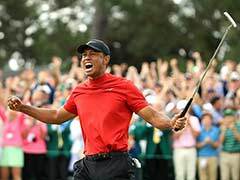 But Europe answered by taking the afternoon four-ball matches 3-1 with McIlroy sinking a dramatic eagle putt to lift the world number three and Belgium's Thomas Pieters over US Open champion Dustin Johnson and Matt Kuchar 3 and 2. "They seemed to birdie every hole and Rory made a bunch of them," US captain Davis Love said. "It's frustrating not to come out a little bit more ahead." After sealing the victory, McIlroy turned and made several bows to the crowd before pumping his fists and sharing a victory hug with Pieters, one of six Cup newcomers on Europe's squad. 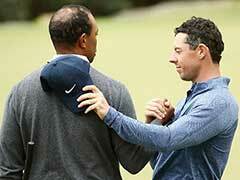 "It's pretty hostile out there, I must say," McIlroy said. "You don't want to let that get to you but you want to let them know when you hole a putt how much it means to you." 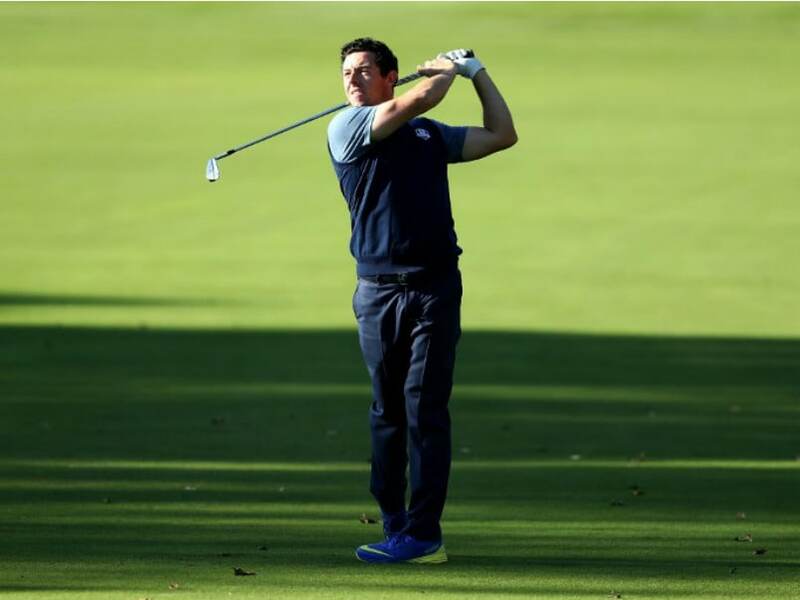 McIlroy and handpicked English rookie partner Andy Sullivan of England led 2-up with four holes to play in foursomes only to lose 1-up to Phil Mickelson and Rickie Fowler in the day's tightest match. "It's incredible," McIlroy said. "I've played one Ryder Cup in the US and this is definitely a little more hostile than the one at Medinah." That's where Europe made the greatest last-day comeback in Ryder Cup history to defeat a Love-captained US side. The latest rally meant a lot to McIlroy's Northern Ireland countryman Darren Clarke, the Europe captain, after the early epic fail. "They showed true bravery and heart to go out and play they way they did this afternoon," Clarke said. "It shows how strong we are to come out with that performance being down that much. The golf was scintillating. "I couldn't be any prouder of these guys." Spain's Sergio Garcia and Rafa Cabrera Bello defeated J.B. Holmes and Ryan Moore 3 and 2, not allowing the US duo to win a hole until the 14th. "It was important because we didn't have a good morning," Garcia said. "We needed to go out here and do something better. Three points (is) amazing. We're back in it." Olympic champion Justin Rose and British Open champion Henrik Stenson split two matches with Americans Jordan Spieth and Patrick Reed, showdowns of duos that went unbeaten in 2014. England's Rose and Sweden's Stenson won 5 and 4 in four-balls after Reed and Spieth took the foursomes match 3 and 2. "The afternoon was brilliant," Rose said. "We got up and running and played pretty well. We were pretty happy with our performance in the morning but we missed a couple of putts. "It makes it a little sweeter when you beat the people who beat you in the morning." Masters champion Danny Willett, an Englishman whose brother insulted US golf fans in an internet article this week, was heckled often in his Cup debut, a 5 and 4 four-ball loss alongside Germany's Martin Kaymer to Brandt Snedeker and Brooks Koepka. "It was anticipated," Willett said. "Coming to America is a tough one. They gave me a little bit more. It was exactly what we thought it was going to be. There was a few little shouts in there, and bits and bobs." Kaymer also lost in foursomes alongside Garcia, leading 1-up after 11 holes only to drop the final five in losing to Zach Johnson and Jimmy Walker 4 and 2. The other US foursomes triumph saw Kuchar and Dustin Johnson beat Pieters and 10-time Cup starter Lee Westwood of England 5 and 4. "We redeemed ourselves pretty well," Pieters said after he and McIlroy won. "Can't wait to get back out there." Saturday will see four more foursomes matches followed by four four-ball matches with 12 concluding singles matches Sunday. Europe as trophy holders need only 14 points to retain the Cup while the US squad needs 14 1/2 to take the trophy.